AMD just released Radeon Adrenalin Edition, a major upgrade to its driver software suite. 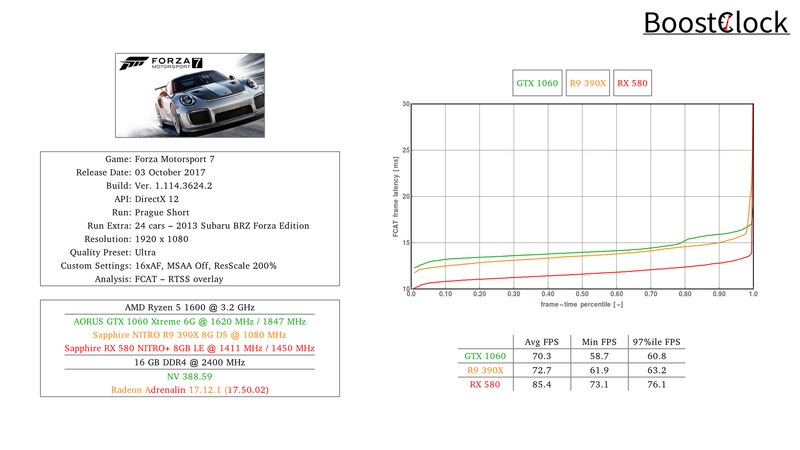 To test out the latest WHQL driver we revisit Turn 10 Studios' DX12 and MS Store exclusive Forza Motorsport 7 with the GTX 1060, R9 390X and RX 580 in tandem with the Ryzen 5 1600. 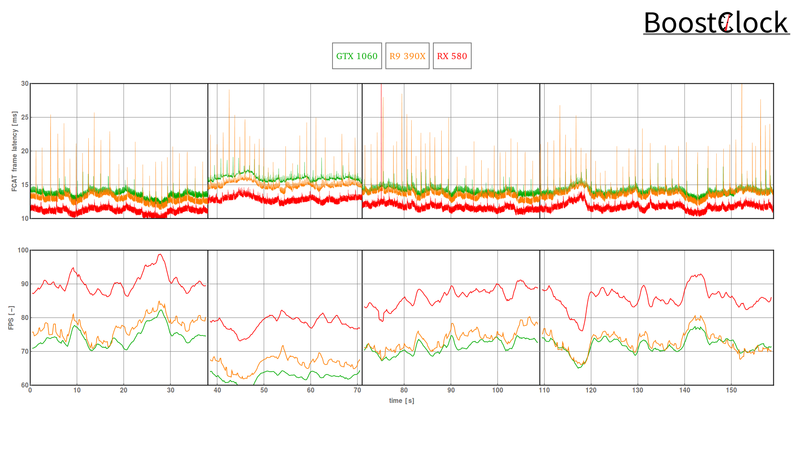 The RX 580 came out on top in the race around the historic city of Prague - more than 20% faster than the GTX 1060 with excellent frame times. 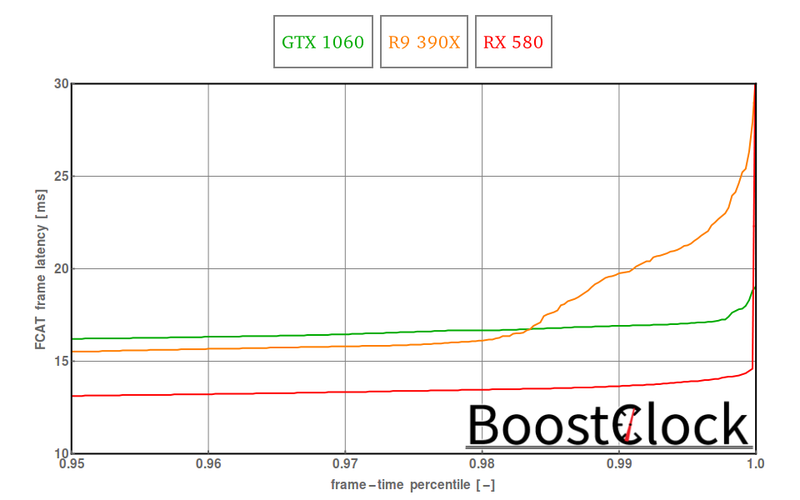 The venerable R9 390X surprisingly beats the GTX 1060 - a mighty feat overshadowed by regular stuttering. The driver guys at AMD really should have a look at pre-Polaris dGPUs, especially with games that utilizes DX12 so well. This is the message that they need to drive home big time. 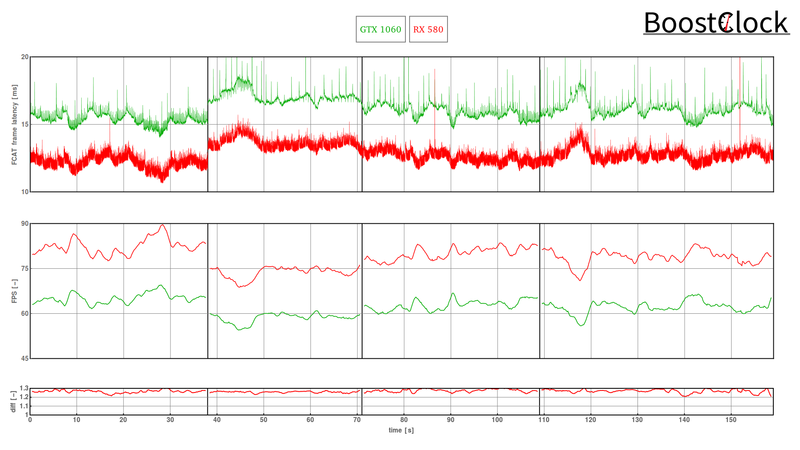 The three-way comparison uses 1080p ultra with 200% resolution scale, while the two-way battle between the RX 580 and the GTX 1060 uses true 4K resolution with ultra quality settings - we use VSR for 1440p / 4K benchmarking and cards that are GCN 1.1 go up to only 3K. 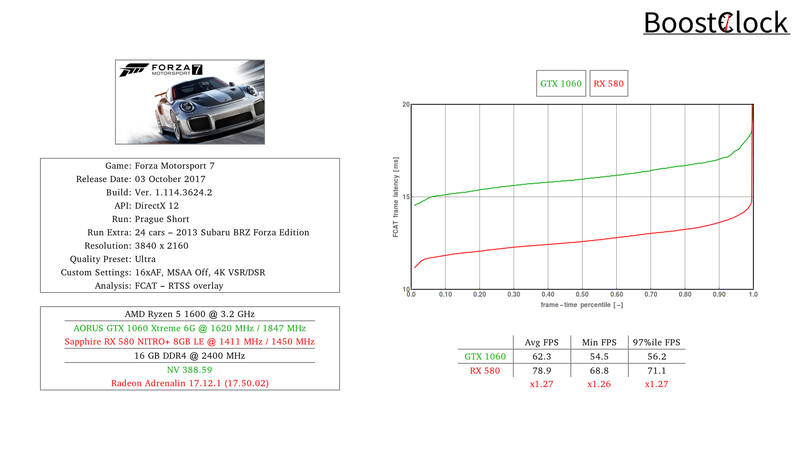 It seems that in Forza7 1080p with 200% scale is not true 4K as we got slower frame rates for native 4K resolution and the GPU memory utilization is higher as well.